Would you listen to Again the Magic again? Why? Yes, this is the most entertaining narrator I have ever listened to on my "Books on Tape" and the story makes my heart ache for Aileen. Recommend very entertaining, I will be downloading many more of both Lisa Kleypas and Rosalyn Landor as Narrator, she's fabulous. She has many great voices!! 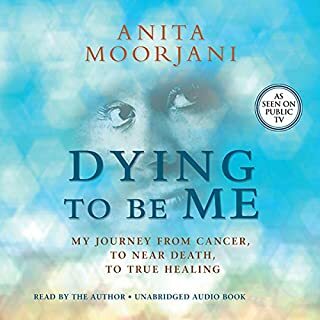 Yes, It is an inspiring book of a real woman and her battle with Cancer and Back (NDE), but more importantly she articulates the experience in a very insightful and amazingly hopeful reflection for all to experience and learn. It is a book I want to listen to again, especially the end, She confirms for me many of the insights I have felt as I grow older and spend quiet time with myself. I love this book! Captivating and inspiring. 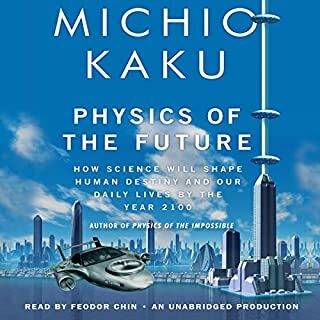 He gives a wonderful vision of tomorrows future and the technologies to come.